Product prices and availability are accurate as of 2019-04-19 11:26:19 EDT and are subject to change. Any price and availability information displayed on http://www.amazon.com/ at the time of purchase will apply to the purchase of this product. 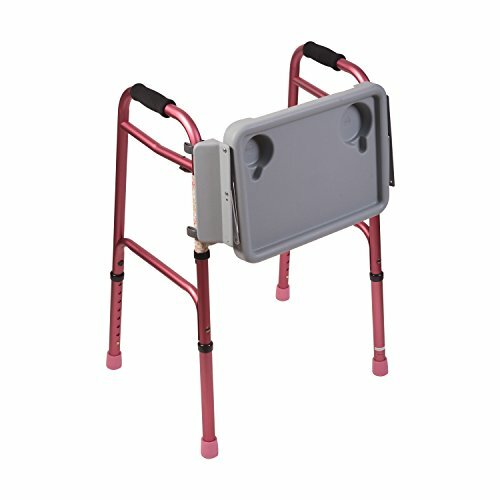 Snap all four vinyl coated metal clips onto walker legs. 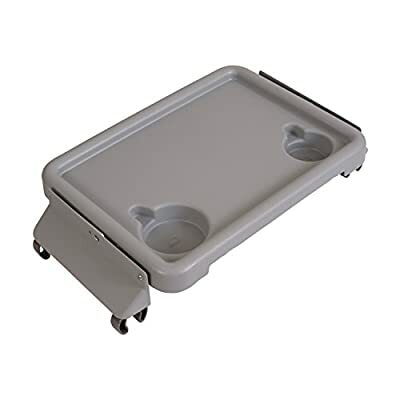 When securely fastened, raise tray into an upright position until it locks in place. To lower, raise tray gently and slide metal brackets forward to release. Tray folds flat and out of the way. 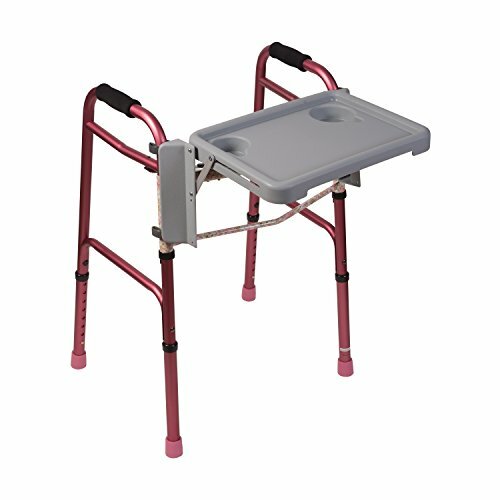 WALKER TRAY IS COMPATIBLE with most standard walkers, as well as folding walkers that are approximately 18.5 inches wide. Attaches easily to most walkers. Not compatible with extra wide or Bariatric walkers. 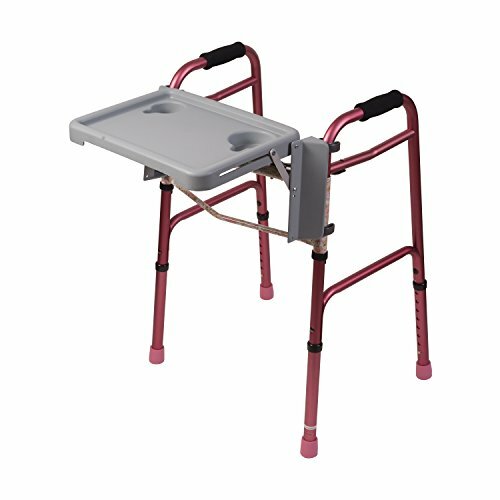 EASILY OPENS AND LOCKS IN PLACE AND CONVENIENTLY folds down when not in use and has 2 deep and stable cup holders to prevent spills. NO TOOL ASSEMBLY, as the walker tray simply snaps in place. EASY TO CLEAN, made of durable, light weight plastic. WARRANTY AND GUARANTEE: Amazon Exclusive Limited warranty may apply. Please see product for additional details. 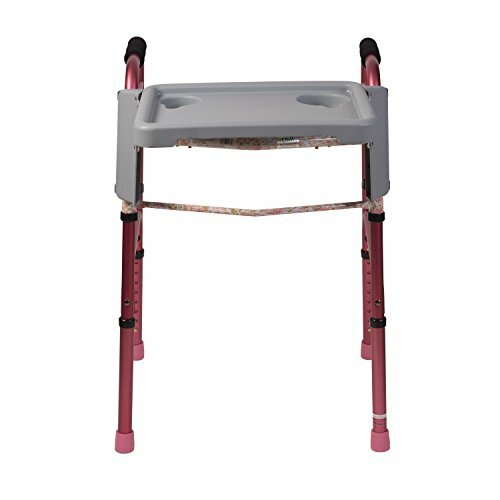 NOTE: Note: we can only guarantee the quality of this product when sold through Amazon.com or Brazos Walking Sticks.